At 0231 GMT on 27 August, a Long March 4C (CZ-4C) rocket launched the Yaogan 27 satellite from the Taiyuan, Shanxi Province, launch site in China. 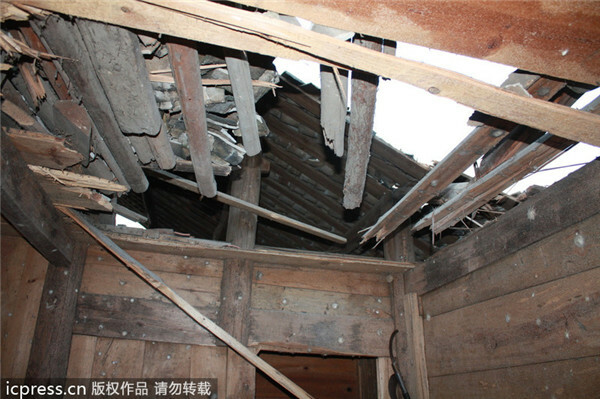 Few hours later the British news media Sino Defense tweeted images of a house damaged by a rocket engine from the Long March 4C that had launched the Yaogan 27 satellite. It is not clear where the rest of the first stage landed. Falling rockets stages are a recurrent problem in China. 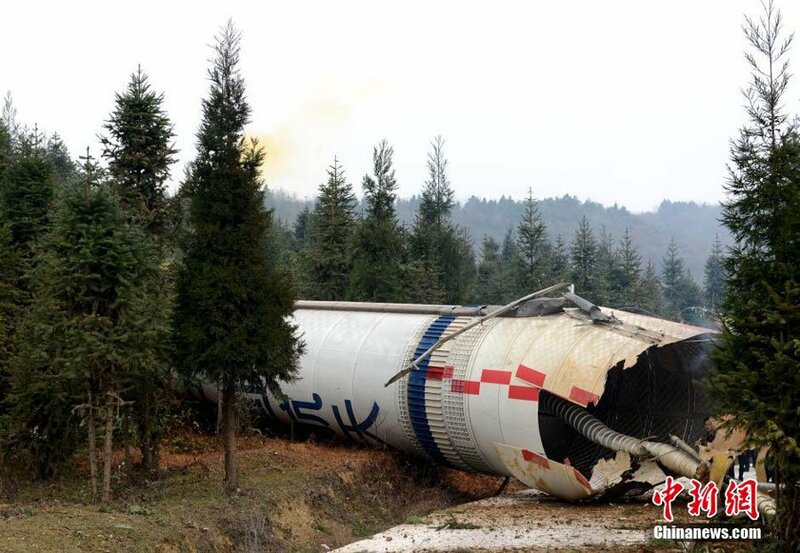 Here below is a picture of a Long March IIIA that fell in January 2015 on a rural road of the small town of Fuquan in southwest China’s Guizhou Province 300 miles from Xichang Satellite Launch Center, where the rocket had been launched with the meteorological Fengyub 26 satellite on-board. Back in December 2013 a Long March IIIB rocket was launched with Chang-e III satellite on-board. About nine minutes later, rocket debris fell in Shaoyang City, Suining County hitting two houses, but causing no casualties. Shaoyang City is within a rockets stages falling zone of 700 square kilometers inhabited by more than 16 million people in 11 villages and towns. Since 2008 the area has been hit 20 times. Before launches evacuations are carried out with the help of thousands armed forces and civilian personnel. After the launch damages are assessed and compensations paid. Most China launch centers are inland and rocket stages fall on rural populated areas. Russia’s Baikonur Cosmodrome in Kazakhstan is also inland but the stages fall in sparsely populated areas. United States, India, Japan and the European Space Agency use mainly coastal launch centers so that launch debris fall at sea. Is it just a matter of compensating for damages? Not at all. Rocket stages fuel thanks will always contain residuals that will disperse and contaminate soil at impact. They could be in the order of several hundreds of kilograms. The Long March 4C uses as fuel UDMH Unsymmetrical dimethylhydrazine (UDMH) a colorless toxic liquid, with a sharp, fishy, ammoniacal smell. UDMH released into the environment can react in air to form dimethylnitrosamine, a persistent carcinogen and groundwater pollutant.